I have been running like a headless chicken for quiet sometime now. Yeah! that’s what happens when both your kids start formal school and none have any seriousness about studying! So, in between getting my kids in school, begging them to study and my work I hardly could find any time to read! This is also a reason why there have been no book reviews from me in some time now. When I got Tarikshir, I had promised myself to get back into the reading ritual, but then life happened and I was again delayed. However, its better late than never, so here is the review! 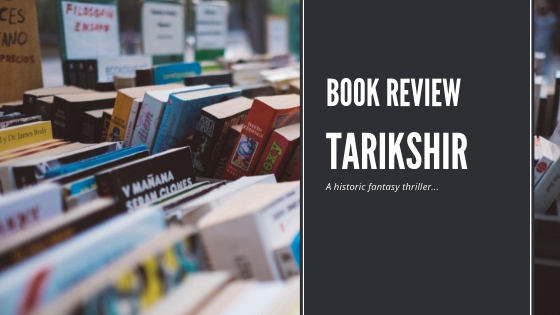 Tarikshir, by Khayal Patel is mytho historic thriller that draws heavily from fantasy elements! Exciting isn’t it? If you love mythological and thriller genre you should pick this book! But the kingdom is in turmoil. The Devangarh army is outnumbered and the British forces are closing in. To make matters worse, Rudra discovers the king’s death may not have been accidental after all. This kind of book blurb definitely piques my interest! To top it all, it talked about mysterious hooded men, ritualistic murders, evil rising and much more. 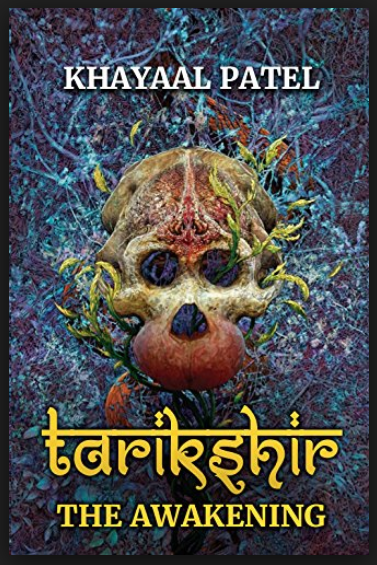 Tarikshir is a debut novel by author Khayaal Patel and he has managed to capture his audience with it. Khyaal Patel got his MBA and even worked with a fortune 500 company before realizing his true calling. The book is what many might want to call a cross genre between mythological, historic thriller and it is a treat to read this book if you love this genre. From the word go there is some mystery element lurking among the pages. As you turn the pages and try and solve the mystery with your ideas, you stumble upon some more. I found the story of Tarikshir extremely engaging and something that stays with you long after you have stopped reading for the day. The characters are well established with unique traits, structure as well as emotions. It feels very real as the characters have multiple layers to them. They are human with each character showing their positives and short comings. 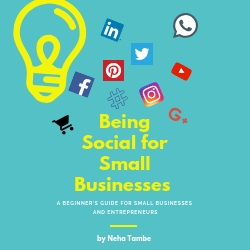 The book has a good pace and does not sound repetitive or boring. It manages to hold the readers imagination without confusing them. I am not a fan of such Chaotic, Tantrik covers. Though I understand the logic behind it, it somehow does not connect with me. I might have skipped the book, if I was about to judge the book by its cover. But that is a personal choice I don’t think that should stop you from checking the book. So I have an honest view what to expect from this book, as also what you thought could have been better. Glad you are back to reading and reviewing, Neha. I am on the fence reading this one or not as I am not very much interested in reading about Tantriks and all. However, I like thrillers and have read a lot lately, will give it some time, thanks for the honest review, Neha. The front page of the book itself sounds so mysterious. Mytho – historical thriller is something that intrigued me to the peak and I would love to give it a read. I had added this book to my TBR, after I read your review, last year. Hoping to read it soon. I love thrillers. A mythological thriller seems interesting and intriguing. Thanks for your honest review, will check it out.